The next most expensive ticket is the December 4 Washington Capitals game, which marks the first time since the Stanley Cup playoffs that the Caps will visit Las Vegas. The teams are also set to play October 10 in Washington. Tickets are trending at an average of $285 with a get-in price of $127 on the secondary market for the game in Las Vegas. 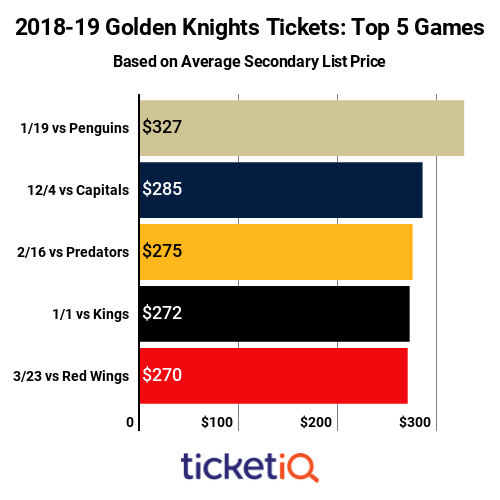 The next three most expensive games range in average asking price between $270-$275 and are, in order of ticket prices, February 16 vs. the Nashville Predators, January 1 vs. the Los Angeles Kings and March 23 vs. the Detroit Red Wings. 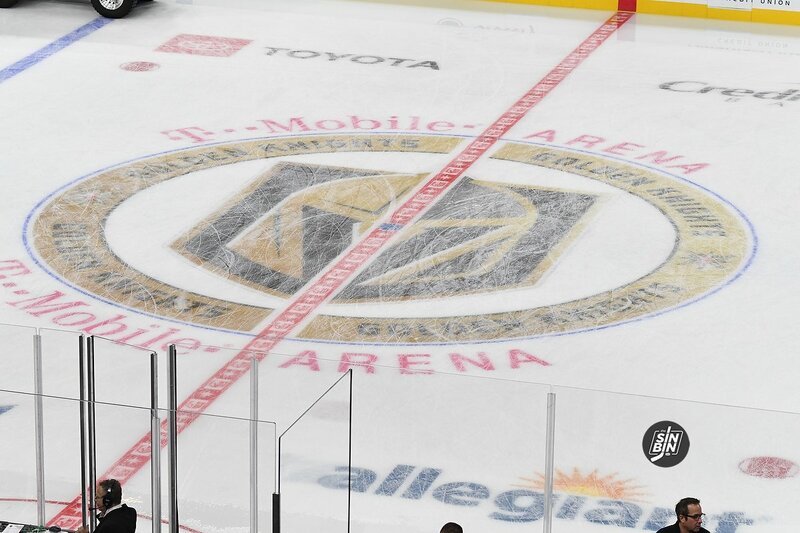 On the secondary market, TicketIQ.com has seats available for all of the Golden Knights home games. For the home opener, seats are available adjacent to the Vegas bench in Section Lower 4 beginning at $432. For the Penguins game, fans can take advantage of TicketIQ.com’s Low PriceGuarantee with seats high above the action in Section 200 Level 212 starting at $203 or in Section Lower 7 next to the Pens’ bench starting at $330. Can you Kengineer together a story about this whole mess with re-selling tickets? Where can they be re-sold? And where can’t they be re-sold? The original story on another site doesn’t go into too much detail about what is and isn’t ok. Thx !! Yes. I’m working on getting the VP of ticketing on the Podcast.